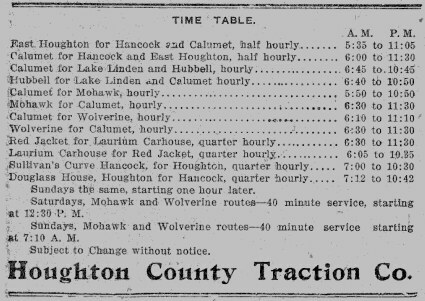 Here are a few images of the old Houghton County Traction Company. I am surprised how difficult it is to find photographs, and even postcards, of the old streetcars. The best reference booklet is "Reminiscences of the Streetcar" published by Wilbert B. Maki. It contains more photos, and some great stories.